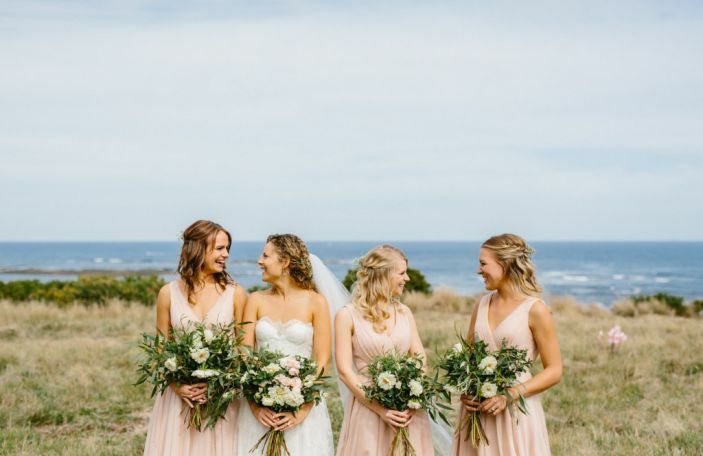 There are so many gorgeous options out there! 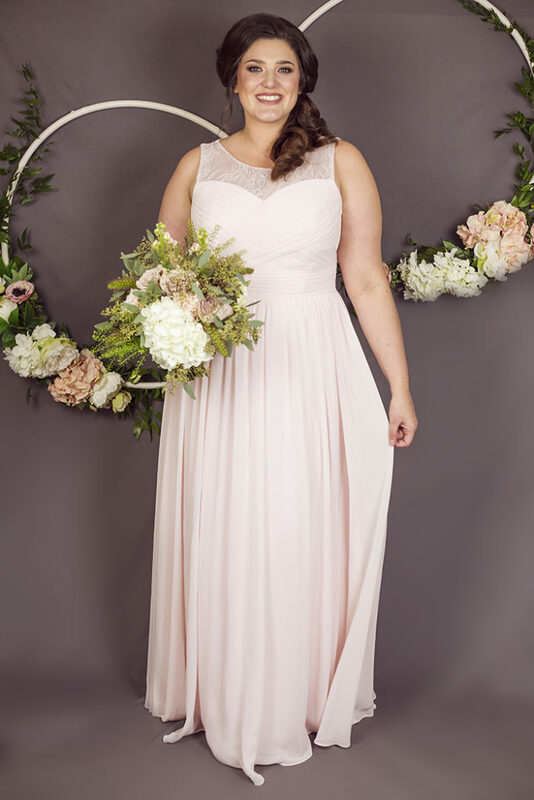 Plus size bridesmaids dresses, especially fashionable ones, have proved hard to find in previous years. However, thankfully, that has all changed. 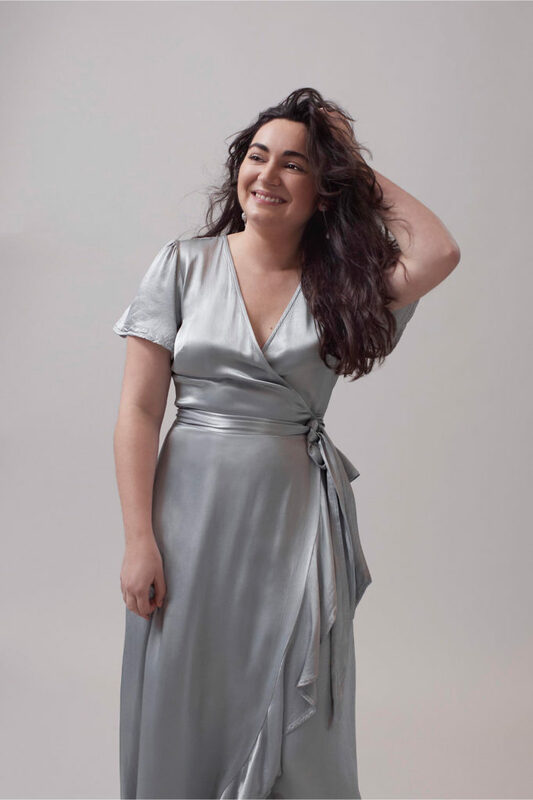 More and more retailers are conscious of the fashion-forward curvy girl. 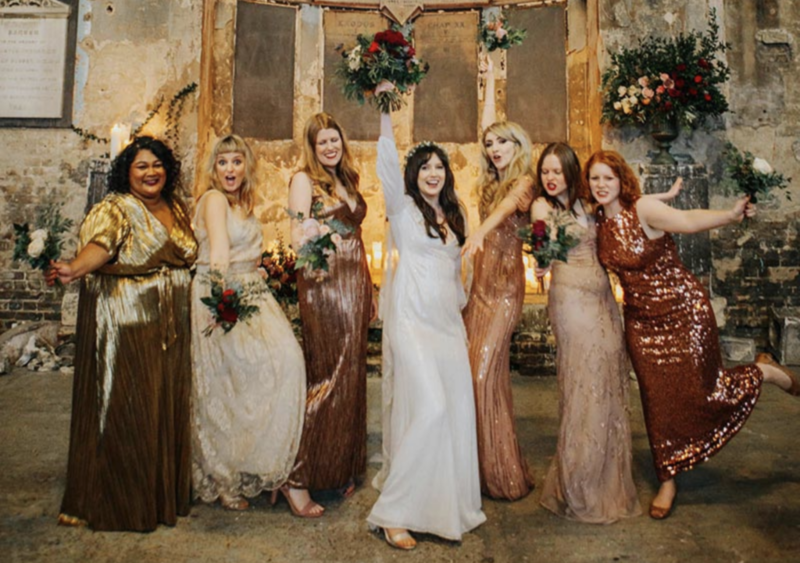 They're now offering a range of beautiful gowns to suit every shape and size. 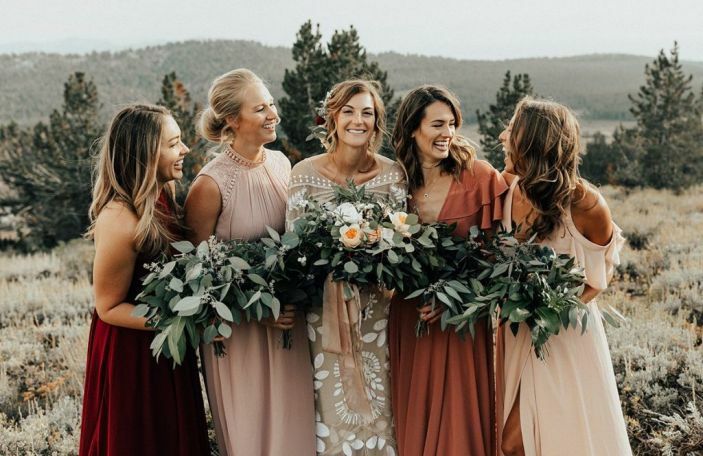 Regardless of what style you're looking for, plus size bridesmaids dresses are more fashion-forward than they've ever been. Hurrah! 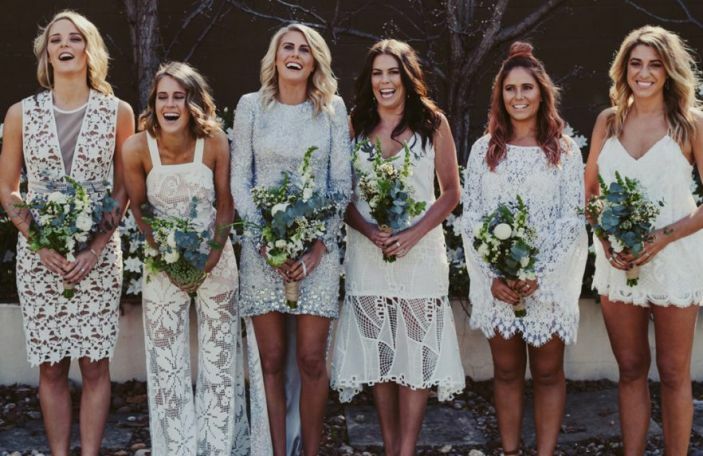 Just a note to all brides, one style of dress will more than likely not suit all your bridal party. You need to be open to mix 'n' matching your gals. Let's be honest here, mix 'n' matching gowns are definitely the more popular option than a gaggle of clones. If you like, choose a colour scheme and let them pick their own dresses within that. Not only will your girls look fab, but they'll feel it too. 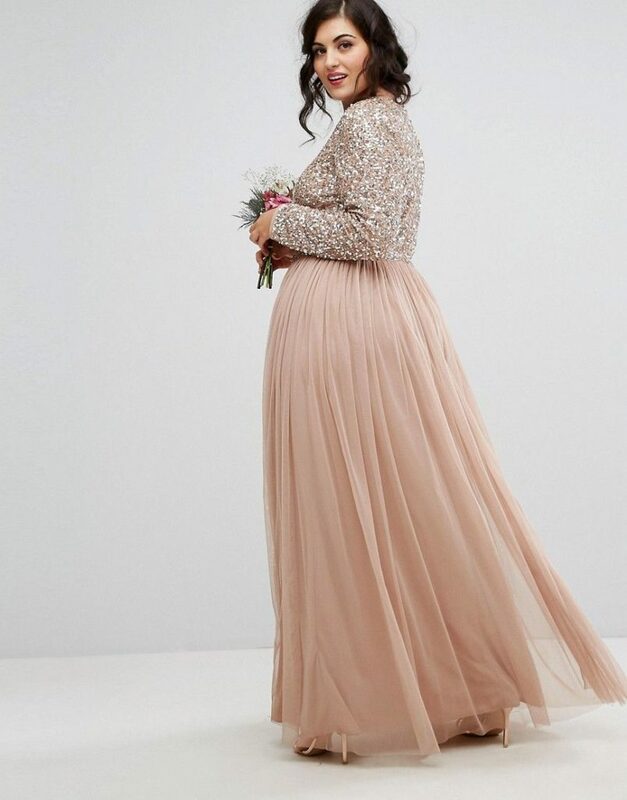 If you're shopping for plus size bridesmaids dresses in a bridal boutique, be wary of sample sizes - they tend to run small. The majority of boutiques only offer sample sizes from 12-14, in-store. However, if your chosen dress doesn't fit, don't worry, they'll pin it in place to give you an idea of the finished look. They can then measure you up and alter the dress to flatter your shape. Choose necklines and cuts that will be super flattering for your figure. To accentuate your waist, a wrap dress or some ruching is the perfect way to nip you in in all the right places. 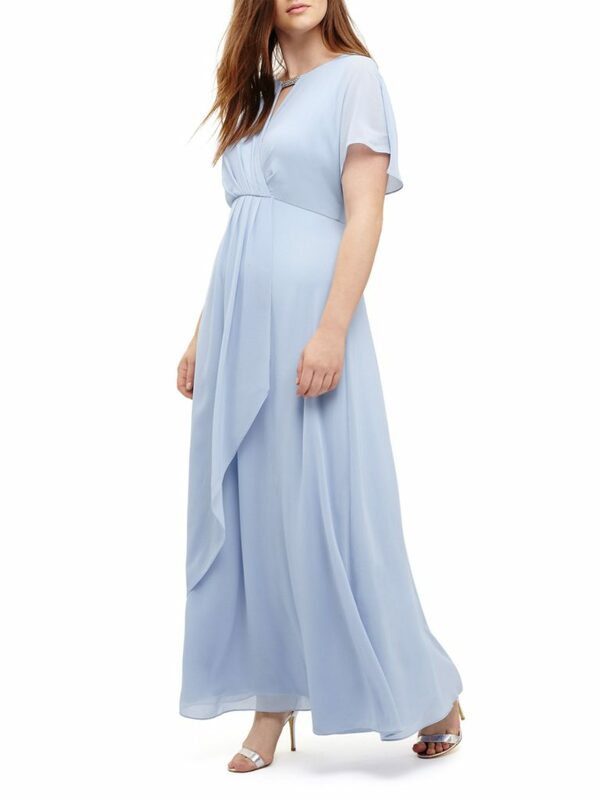 To emphasise your upper body, whilst still giving you support, a v-neck gown is ideal and will look super elegant. If you're not comfortable in a dress that's been chosen for you, speak up. The last thing you want is to compromise and end up wearing an ill-fitting dress for the day. A lot of the time it's easier to not cause a scene and just go along with whatever everyone else wants. However, the result there is you spend the day uncomfortable and no one wants that. Make sure those opinions are voiced, girl! If a dedicated boutique isn't your jam, take to the highstreets. So many retailers now have gorgeous options for curvier girls. You also have the option to buy online. The handiest thing about shopping online is you can filter your results by size, colour and fit, rather than having to traipse around 20 shops. Then, try the dress on in the comfort of your own home and have your own little fashion show, if you wish. This is a zero-drama zone, folks! Who pays for what? What do you have to do? We got you! 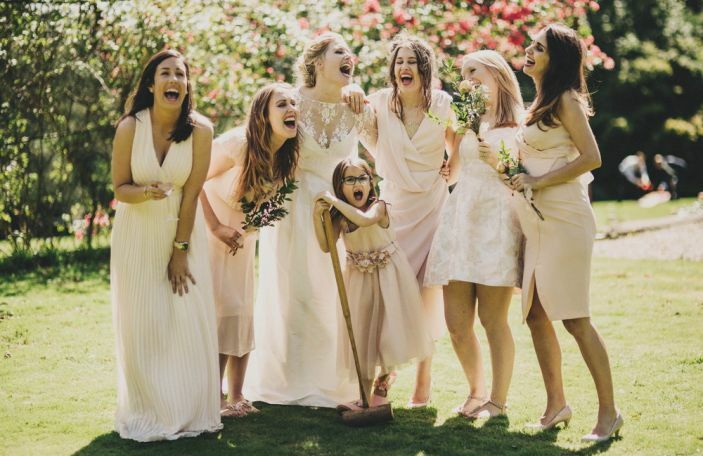 11 signs you have the best bridesmaids, EVER! 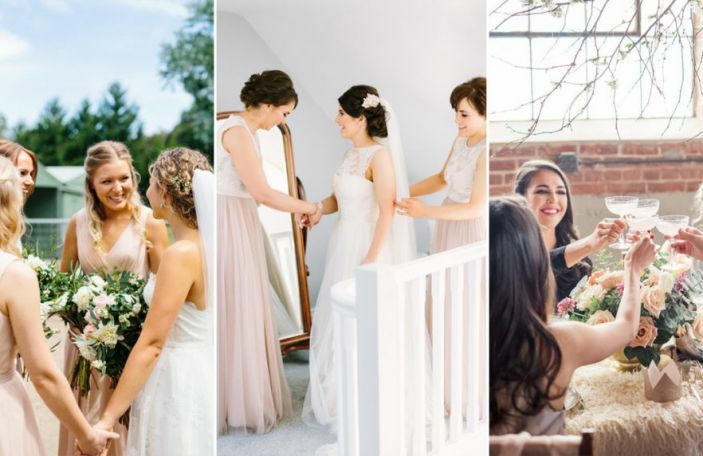 Follow these five rules for bridal party bliss!